I am a first time Volvo owner, and I am finding life difficult when it comes to aftermarket parts. 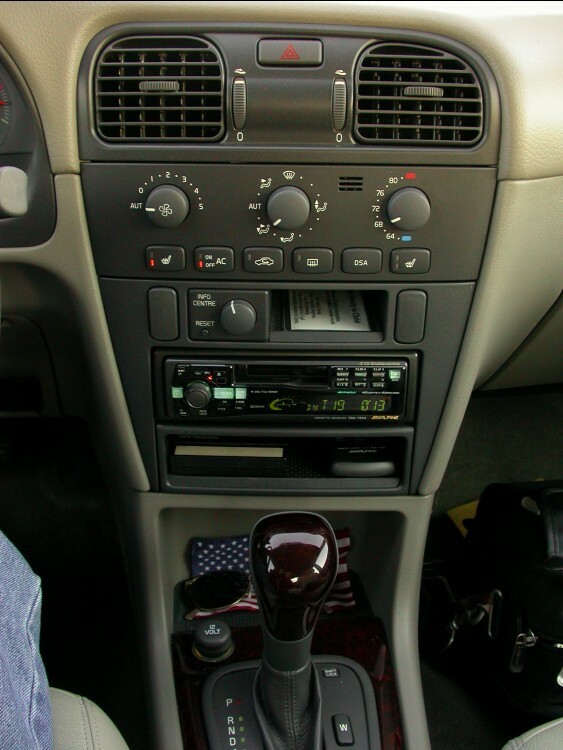 I am seeing all kinds of info on the internet about my car and it's stereo, and I have no idea what to believe. Is there a stock amp hidden somewhere? If so, will the new stereo I install wire into it easily? The 2001 does not have an external amp. Some of the 2004 (maybe 2003) had the external amp. Upgrading yours is pretty simple. Go with any single DIN unit and get a Metra pocket. You can go with a double DIN but you will need to shave off the plastic guides on the sides of the opening. I attached a photo of my 2002 with a single DIN Alpine. The pocket was a Volvo pocket from the European market (30613741). Sorry but they are apparently discontinued. Metra 70-9221 (for the 1999 and up S80 harness) fits the 2001-2004 S40 / V40 harness. Metra 40-VL10 for the antenna.